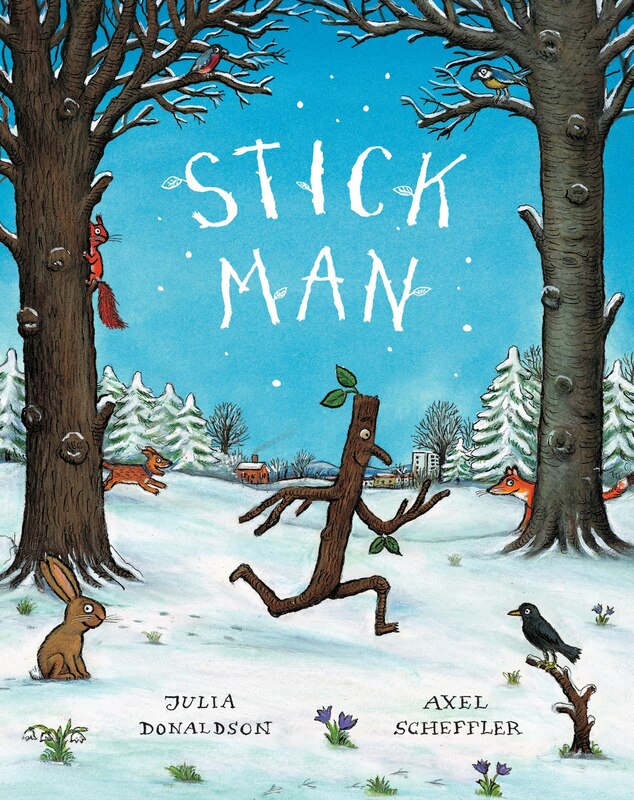 From the creator of the much loved book ‘The Gruffalo’ comes Stick Man. A tale of adventure as Stick Man wakes early one morning and goes for a jog. Lots of incidents occur and he ends up further and further away from his family tree. Lonely and cold and missing his stick family he finds himself in a variety of situations where others believe him to be nothing other than a useful stick. There is a little boy who wants to use him as an arm for his snowman, a Swan who uses him to build her nest and he even ends up very nearly being used for firewood before the hero of the story, ‘Father Christmas’ saves him and takes him back to his family tree just in time for Christmas day. There is a beautiful rhyme to this story. It is a lovely illustrated adventure with the true meaning of home at the heart of it. There is a thrill of danger which engages the children and a lovely festive touch. A wonderful story book for all children.